View of the gallery at Pump Project Art Complex. Silk Dancer – 2, a photo by -Dons on Flickr. Intermission Entertainment. 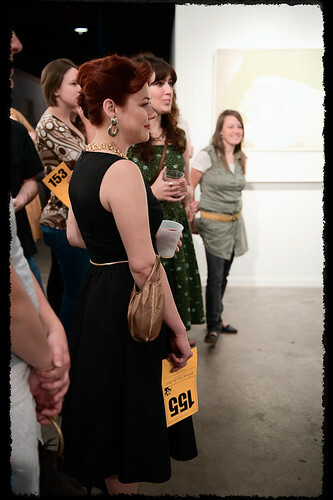 Via Flickr: The Pretend You Are Rich Art Auction at Pump Project. 155 Beauty, a photo by -Dons on Flickr. 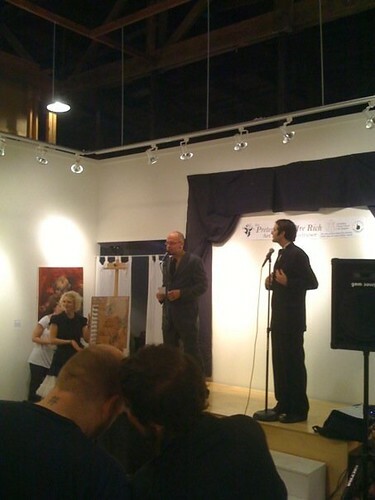 Via Flickr: The Pretend You Are Rich Art Auction at Pump Project. Drunk Monkey, a photo by -Dons on Flickr. 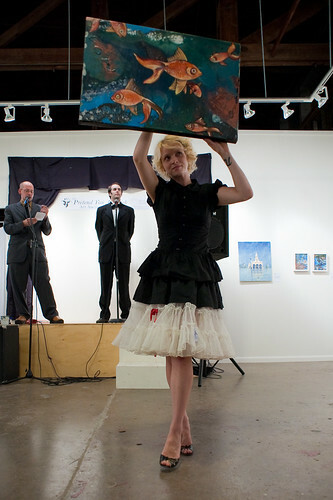 Action shot from the March 27th, 2010 Via Flickr: The Pretend You Are Rich Art Auction at Pump Project. 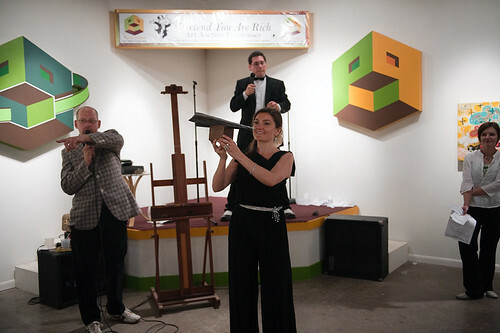 Pretend You Are Rich Auction – 2, a photo by -Dons on Flickr. Featuring Arthur Simone as the Fabulous Mr. Auction. 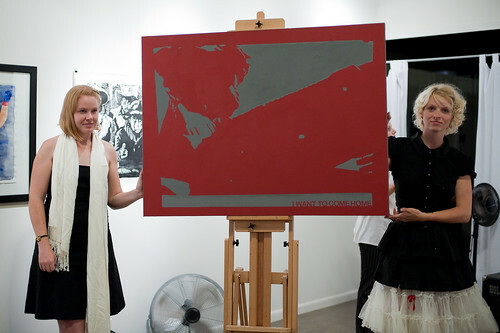 The work you see held by our beautiful hostess was painted by the one and only Joelle Felyce. Thank You! To all you rich patrons who came to the Pretend You Are Rich Auction. It was great fun. Hank Waddell took this Pic. Thank You! To all you rich patrons who came to the Pretend You Are Rich Auction. It was great fun. Hank Waddell took this Pic., a photo by j. haley arts on Flickr. 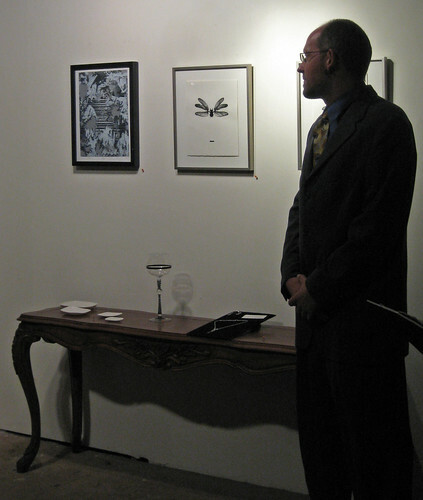 jay auctioning off tha broz art, a photo by ishiku on Flickr. Your event for great art and fun times. 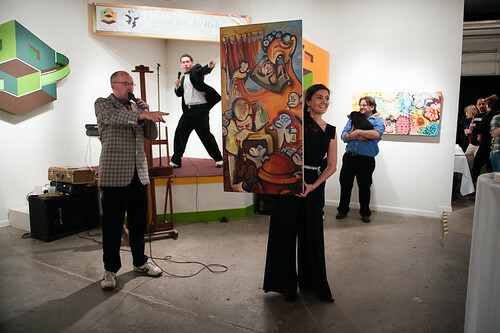 Claiming its beginnings almost fifteen years ago, originating out of a single artist's need to cover a gap in rent, this Auction has grown into the extravaganza you know of today. Keep your eyes open for an event in your area, and please sign onto our mailing list to occasionally receive a newsletter.